I am not the best blogger in the world. My posts are too infrequent, and painting, not words are my forte. But we live in a world that is becoming more and more focused on online presence. We hold a great many of our conversations online. We do a great deal of our shopping online and as a travelling boater and artist, a lot of the communication I have with you, my friends, followers and customers (Hmm…sorry Shakespeare) is through my website or facebook. In an effort to educate myself and improve the content of my blogging, I thought I would do a bit of research and see what other artists of a similar genre talked about. 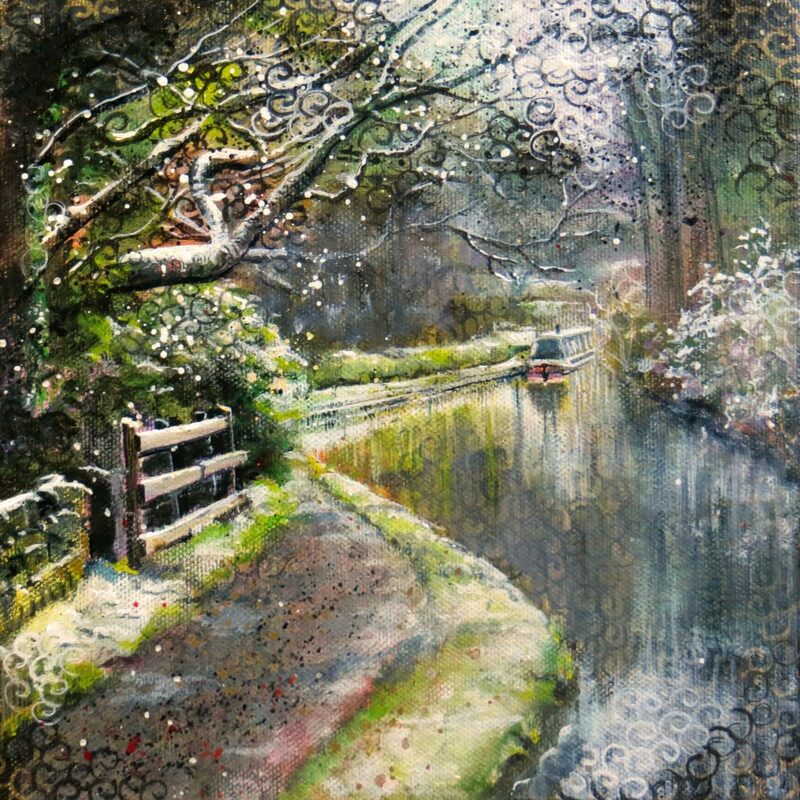 I paint pictures of canals and towpath life, so I ask my good friend Google to look for “Canal Art blogs”. I think all the boaty readers will have a good idea what was going to come up. I was side-tracked for a while looking at all the different styles of roses and castles. I’m particularly interested at the moment because I’m booked on a course in February at Bollington Wharf to learn more about this fascinating craft. I think there are still places available, so I’ll add a link at the bottom.